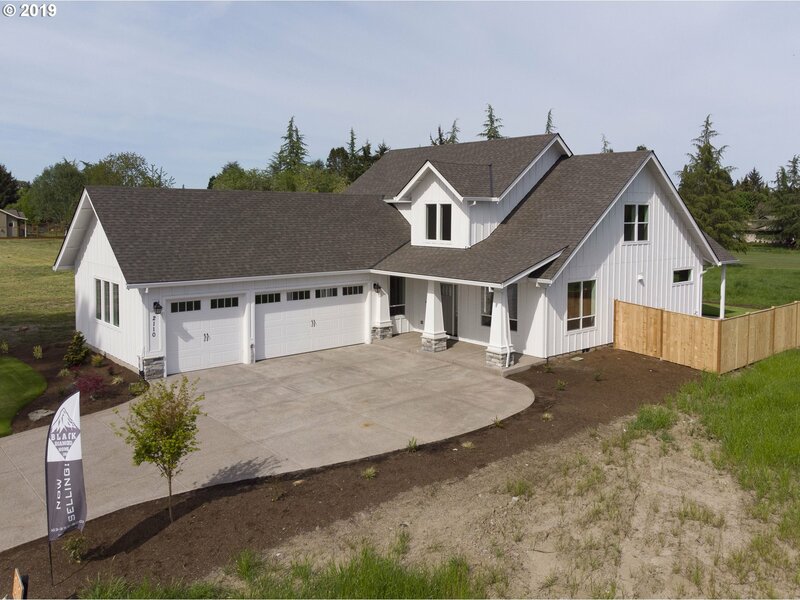 All Mcminnville homes currently listed for sale in Mcminnville as of 04/18/2019 are shown below. You can change the search criteria at any time by pressing the 'Change Search' button below. 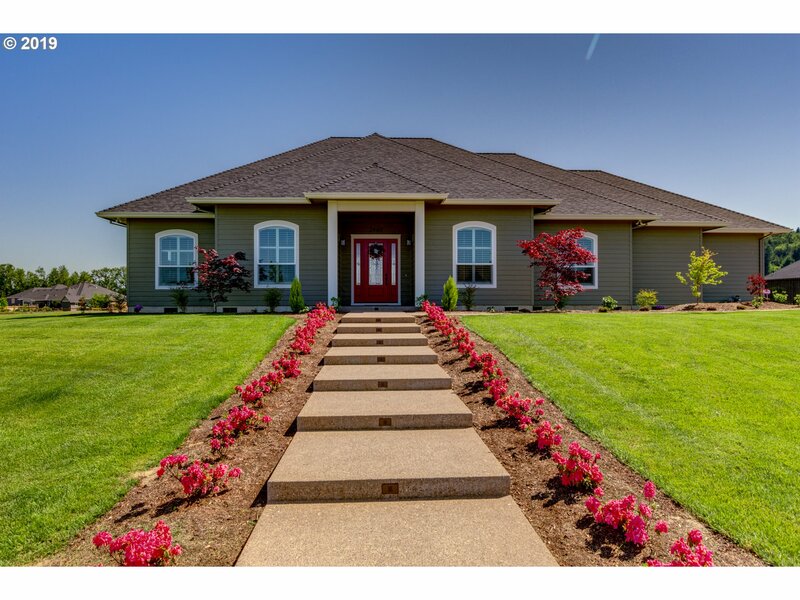 If you have any questions or you would like more information about any Mcminnville homes for sale or other Mcminnville real estate, please contact us and one of our knowledgeable Mcminnville REALTORS® would be pleased to assist you. "the 700ac plus or minus acres are continuous in 7 tax lots,two homes on property soil report available, no water rights, seasonal creek runs thru property, 500 plus ac are leased for grass seed production,possible vineyard plantable ac., potential for hazelnuts.or could make a awesome equestrian property with endless riding trails and in the McMinnville school dist." "Excellent Location, off Hwy 99W! EFU & PALF zoning (Public Airport Landing Field zoning, virtually impossible to acquire now).Registered Airstrip, Runway 2,700',approximately 65' wide; 40' X 40' Hanger.Land Can be converted to Winery. Custom built Residence,comes with solid Oak 2X12 Stout wood floors,4 bedroom,2 1/2 Bathroom,4 garage,3256 sqft living space. Immeasurable Potential!" "Productive hazelnut orchard! Tiled with Woodburn and some Amity/Dayton soils. Appx. 84 acres of trees, Ennis variety, double planted with Yamhills. 30 X 60 machine shed with conc. flr. Custom blt (Merle Dix) house with large rooms and full bsmt. Possible dual living." "Exceptional 55 acre property with custom log home in the McMinnville AVA. Red Hill Soils (Andy Gallagher) has identified an estimated 14.3 acres IDEALLY suited to grow high quality Pinot Noir. Enjoy fabulous Mt. Hood and valley views from the new large Cor-Ten steel framed decks around home. 25 +/- ac of timber, creek, 6 stall barn, 15 +/- acre fenced horse pasture, trails and bridge. 2nd entrance from lower Powerhouse Hill Rd." "View complete details at - https://exclusivenorthwestfarm.com/land-use-and-water-rights.Beautiful 103 acre ranch, completely fenced. Currently used as a Alpaca Farm and previously as a cattle farm. 3 ponds on the property. 8.8 acres of irrigation rites. 1989 one level updated home overlooking the property. Surrounded by Vineyards. Several outbuildings for animals, machinery, storage and Shop. A Must see!!" "Stunning custom home by Creekside Homes with gorgeous views out every window! Attention to detail & carefully chosen finishes include luxury engineered hardwood floors, quartz kitchen counters, stylish lighting, & so much more! Beautiful landscaping with fenced yard, 3 inviting aggregate concrete patios and fire pit area. Impressive stone floor to ceiling double sided gas fireplace. Ask for a full amenities list. Welcome home!" "Located in the heart of wine country on a quiet country road. Classic 1930's style Barn with 7 stalls. 6800 sf shop for your cars, farm equipment, possible winery or store your favorite stuff. Possibly conditional use for ag or online business Buyer to verify potential uses. 1930's Farmhouse with 5 bdrms 4 baths including what might be used as guest quarters above the large 3 car garage. Master with heated floors in bath, walk in closet"
"Quality Construction by Ryan Matson - Beautiful Single level, Custom Home in West Wind Country Estates. Spacious Rooms Oversize Windows, Exquisite Finishes.Luxurious Master, 2nd Master bedroom, Den and 3rd bedroom. Amazing Cook's kitch w/ pantry, marble island. Indoor/outdoor living w/covered patio, professionally landscaped yard. Oversize garage 26'x33' Minutes to McM City Center w/restaurants, wine, boutiques, and Linfield College." "Views for miles of Coast Range and valley. Incredible flower garden,vegetable garden space and 35 acres! About 10 acres suitable for grapes ( buyer to verify). Quiet, private, and a custom built home. Wineries all around. .75 miles of GRAVEL Road. 15 minutes from McMinnville. Must see this beauty today." 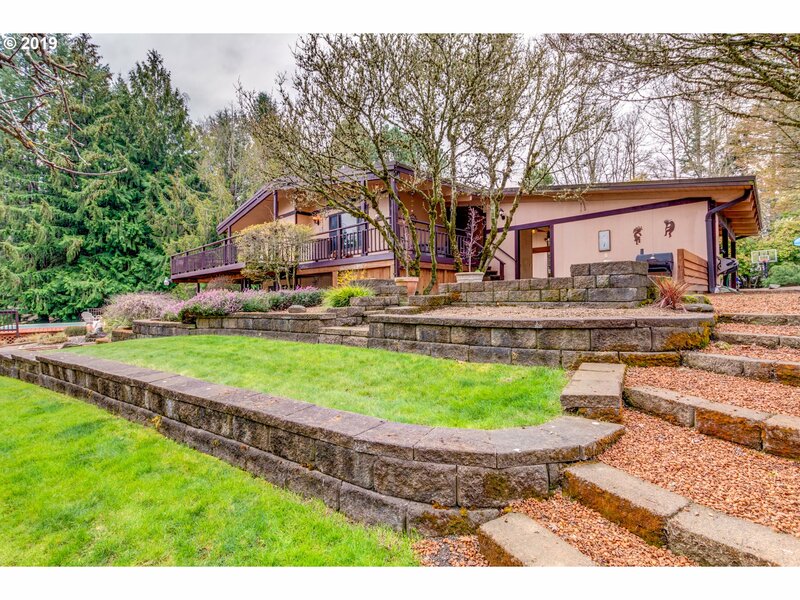 "Stunning NW Contemporary ICF-Rastra Block energy efficient home on 10+ acres w/SW exposure that will grow just about everything.Spacious rooms w/radiant floors, surround sound throughout & solar tubes/skylights.Large shop,fenced garden area,raised beds & gently sloped pastures & trees surrounding the property. Amazing views wherever you sit. Gated access/ camera-security system,back-up generator,McMinnville Power. Agent accompany only"
"Beautiful custom built home features elegant updating. Pride of ownership is readily apparent. Heated tile flooring and a renovated kitchen and master bath are the highlights of the gorgeous main floor. The basement features new carpet and patio access from each of the bedrooms. Endless possibilities await the yard, garden beds, and acreage. Includes tax lots: #166242, #166297, #166251, #478307." 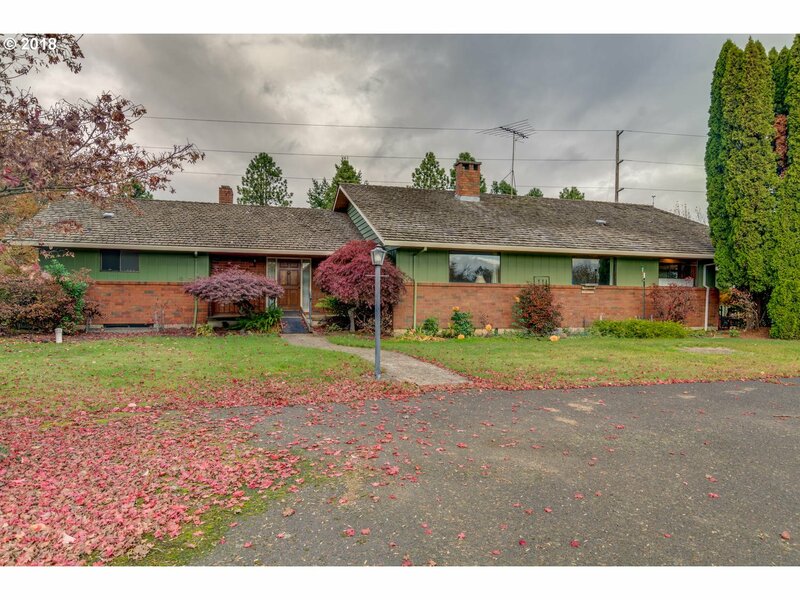 "Breathtaking panoramic view of coastal range & timberland! Charming home boasts a private location, cozy wood-burning fireplaces & dual living w/lower level kitchen, bed, bath & bonus room. Spacious master suite w/dual closets. Tons of space for hobby/storage w/large livestock barn & 2 detached shops. Outdoor enthusiast's dream w/horse & hiking trails galore as well as lovely wildlife & night sky viewing from ample deck & covered patio!" "Stunning Custom Home built with no expense spared. You will quickly see the superior quality & craftsmanship of this home in Michelbook. Custom tile floors, 2 story ceilings, solid cherry woodwork in kitchen & baths, family room & staircase. 2 wet bars and media room & 2nd Master Suite. Master on the Main features en suite bath, 2 way gas fire place and jetted soaking tub. Enjoy views of 11th & 16th Fairways. See full amenities list!" "Spectacular country estate w/stunning views of the valley & Mt. Hood. Private & peaceful setting while still being close to city conveniences. Open, vaulted great w/lg picture windows to take in the view & natural beauty. Formal/informal spaces for gatherings. Main level master w/remodeled luxury bath. 3 auxiliary bdrms & full bath on the lower level. Upper level bonus rm provides versatility for a home office, guest bdrm or game rm." 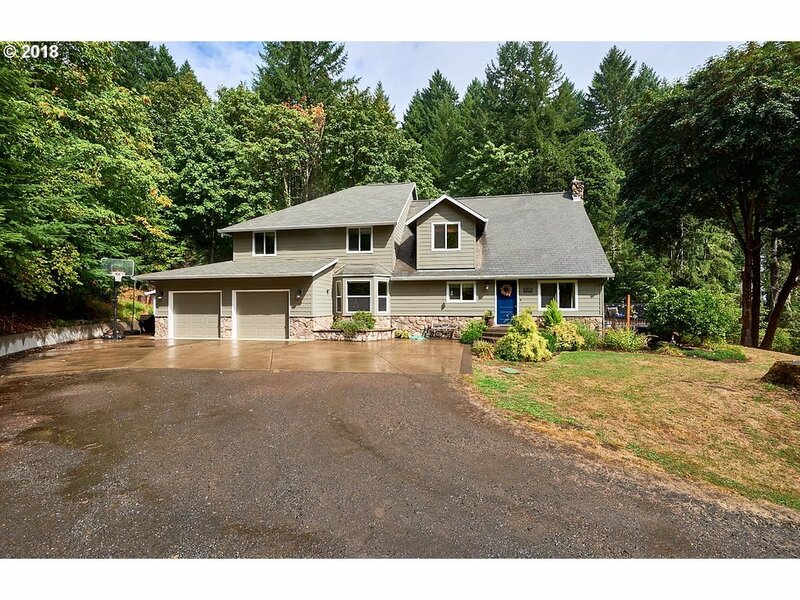 "Completely remodeled chalet style Farmhouse in McMinnville. Beautiful open floorplan with great room layout perfect for entertaining. Kitchen with shiplap and butcher block counters. Amazing wall of windows overlooking expansive 10 acre farmland with high vaulted ceilings. Three bed, three bath over three levels with adjacent barn. Great Willakenzie soil, ideal for cows, llamas, horses & all farm critters. Welcome Home!" "A majestic setting on top of a hill, this home on 46.91 acres has the most beautiful stars you will ever see. With 360 degrees of spectacular views from Mt. Hood to trees and fenced pastures, peace and serenity is what you will feel. The spacious addition was built in 2000, and a 40-year roof was installed in 2014. The barn with 22 stalls, indoor arena, and large tackroom was built in 2009. Enjoy country life while being close to town." "Private Hard to find 4.19 acres. 1 mile north of McMinnville on Westside Rd. Nice paved driveway, well maintained 2826 SF home with beautiful landscaping. Immaculate outdoor setting with pool and 26 X 40 Shop, 12 X 20 Shed and 7 X 10 Utility Rm with Pantry.The field up front of home is part of the property." "Truly a one of a kind property in the heart of Oregon's Wine Country. Surrounded by farmland with territorial views of rolling hills and mountain landscapes. Peaceful living with custom pool on 2 flat useable acres. Manufactured home and stick built home. Possible 2 residences with hardship, buyer to do due diligence. 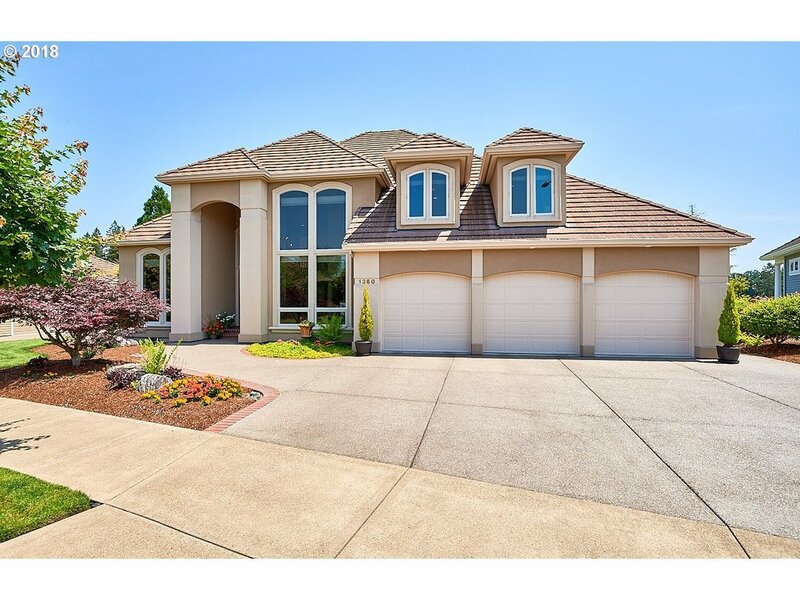 Live and play minutes away from vineyards and downtown McMinnville." "Gorgeous new construction by Black Diamond Homes. Custom touches throughout. quartz/granite slabs through out, kitchen has fulltile backsplash and Custom clear alder cabinets. Extensive hardwood floors on main level. Master is on main level. Gas appliances,high efficiency windows, and 95% efficient gas furnace. Front and back landscaping with sprinklers, and a fully fencedyard! !Renderings and plans are subject to change." 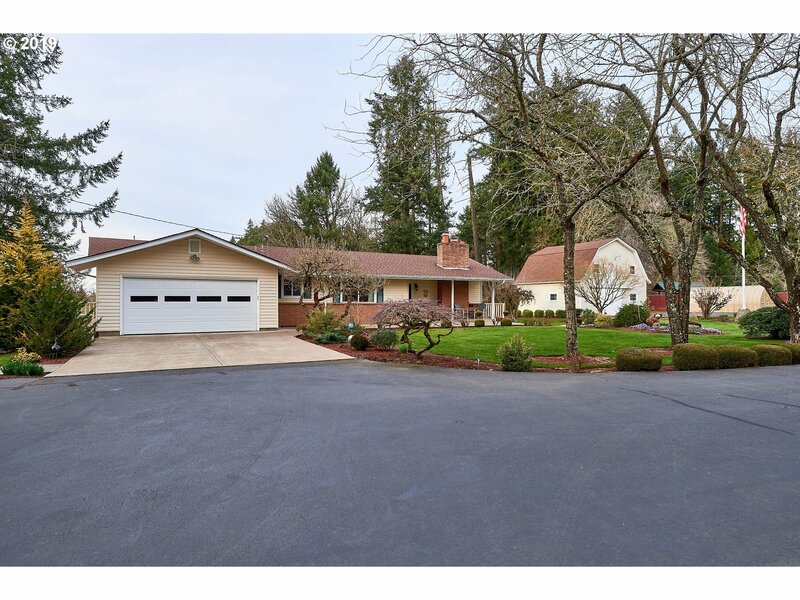 "PERFECT SMALL ACREAGE private setting and great location on the edge of McMinnville.. Super well built home, superbly maintained, gorgeous grounds w/beautiful landscaping,flagpole,sprinkler system, paved driveway and privately fenced with security gate. 32x30 barnw/stalls and pasture surrounded by Baker Creek. A RARE FIND..DON'T MISS OUT ON THIS ONE!" "The perfect setup for dual living with extended family. Nice roomy home w/ nice sized bedrooms and separate living and family rooms. Attached unit is a huge one bedroom one bath with great living space and a gourmet kitchen. Barn and chicken coop for all the critters. Only a few minutes from town on paved roads." "Custom home located in the desirable Crestbrook neighborhood near Michelbook Country Club. Vaulted ceiling entrance, SS appliances, formal & informal living spaces, in home stereo system, covered patio & in ground swimming pool are sure to catch your attention when visiting this elegant home. Master suite includes soaking tub, huge WI closet, fireplace & private deck." "Stunningly & lovingly updated home on small acreage close to town! Living room features vaulted ceiling, wood stove insert, bamboo floors & 2 sets of French doors out to an inviting deck. Updated kitchen w/ stainless steel appliances, granite counters & a stylish tile back splash. 5 full bedrooms + an office/den. Wood shed & storage room off garage. Peaceful & private setting includes fruit trees, berries & garden area, too!" 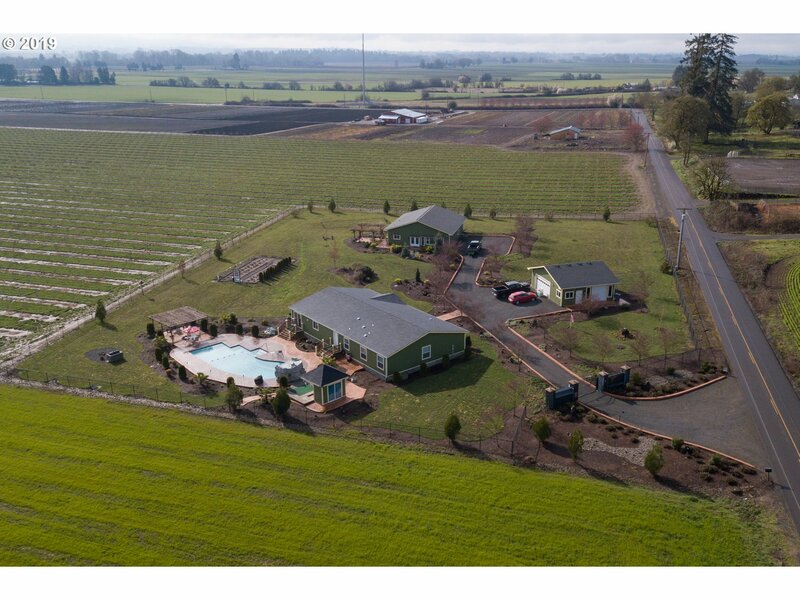 "Ideal small nursery for veggies, herbs, stock, located between McMinnville & Amity on Hwy 99w.Easy 2-gate truck access.Well w/50 gpm when last tested, dual power drops, natural gas. 16 hoop green house frames,3 fully enclosed and heated,one controlled light. Woodburn soils,2 acres cultivated fields,currently in maples. Irrigation to all.Comfortable residence, shop bldg, 3 equipment sheds, yurt guest quarters, outside restroom w/laundry."